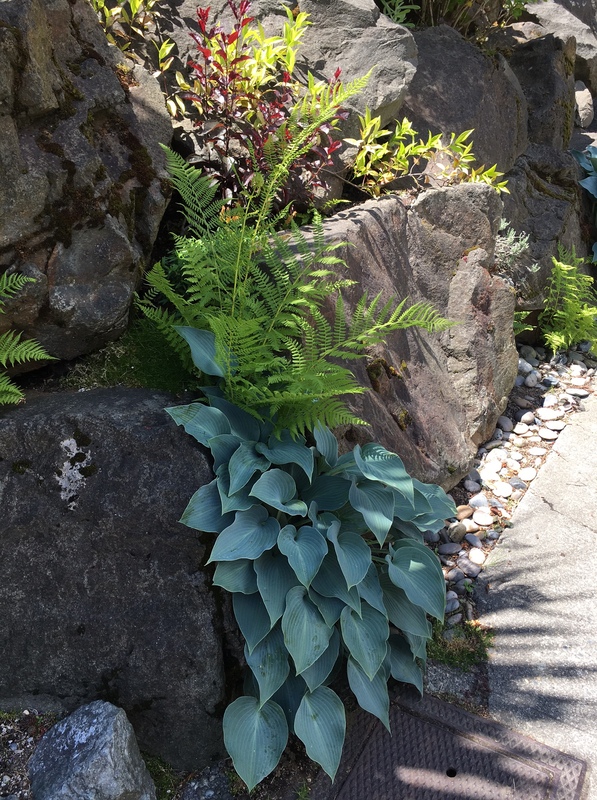 I found myself with one full day in Seattle and Mother Nature was not only cooperative, she was beaming down on the city in a sunny, warmish, low humidity glow. The weather and the fresh air gave me such an uncontrollable groove, but I had done almost no forward planning and was in danger of squandering a truly glorious day. 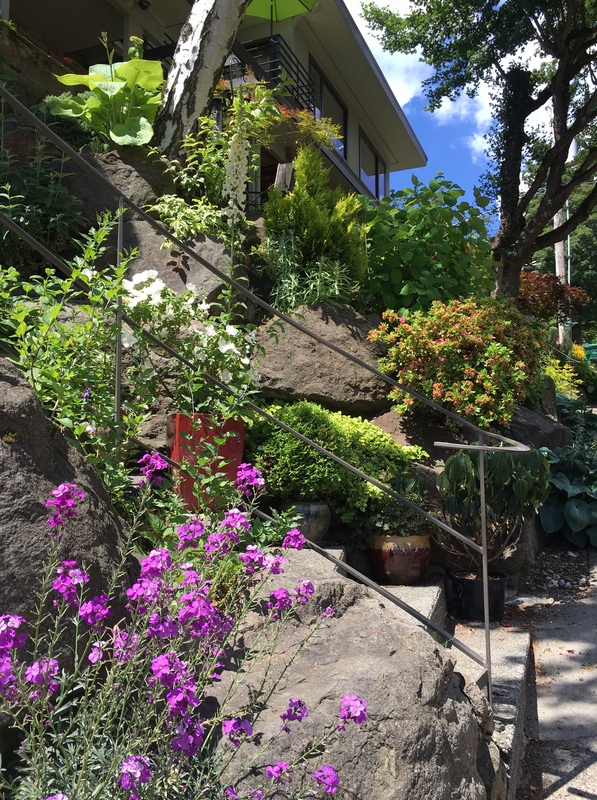 I found myself at 11:00 a.m. on a Sunday (just having had a two-hour massage) on a cozy little corner on Capitol Hill. I had already walked 30 minutes from my hotel and I knew that the immediate environs were not necessarily as picturesque as the corner I was standing on. I decided to rely on an old standby for me when visiting cities new to me—I looked up bookstores on my phone. Usually where one finds an indie or used bookstore, one finds an interesting, walkable neighborhood. Based on a quick look Mercer Street Books seemed like a good target. Googs was telling me it was a 56 minute walk. I thought for a second about taking an Uber, but the weather and the city were too alluring so I set off on foot. As I wended my way across the city I was taken with pocket views of mountains and harbors and lots and lots green. Quiet, narrow streets, cute bungalows, interesting shops, chocolate cookies to write home about, community gardens, and an REI flagship store that had been built to feel like it was set in the woods. I could go on and on about how much I enjoyed my wander across the city. When all was said and done that day I had walked almost 13 miles. First up was the previously mentioned Mercer Street Books, an immaculate store with new and used books—although I feel like it was mainly used. The only problem was that I was thirsty and starving. After a bit of browsing I knew I would never be able to really pay attention to the stock unless I got some food. 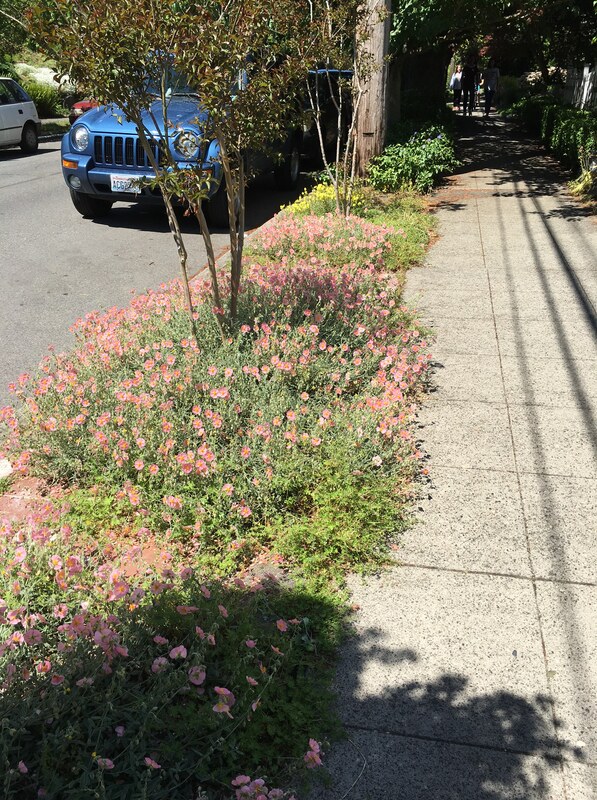 Once sated with two slices of pizza, I thought I would explore the hilly Queen Anne neighborhood before I got loaded down with books. The hills looked steep enough, I didn’t need to add weight to my bag. 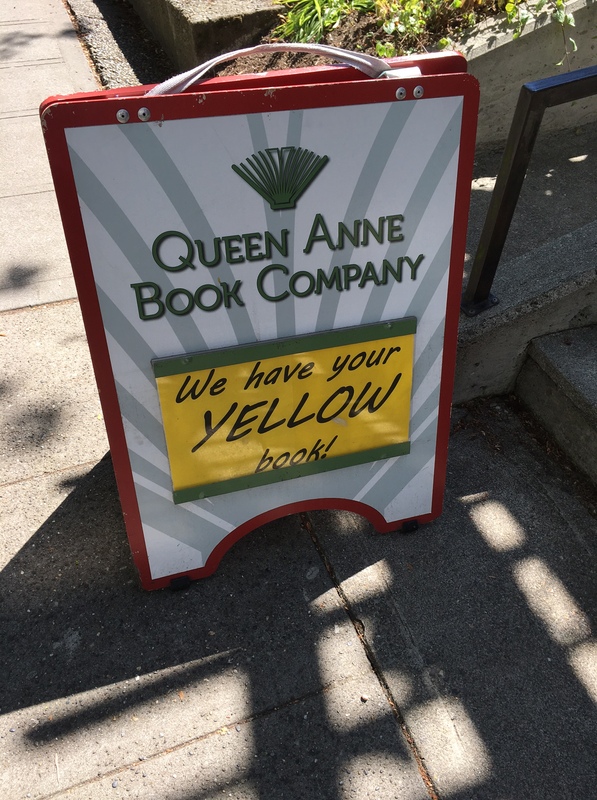 While I was exploring the neighborhood atop Queen Anne’s hill (which was quiet and beautiful, and yes, green) I ran into a bookstore. 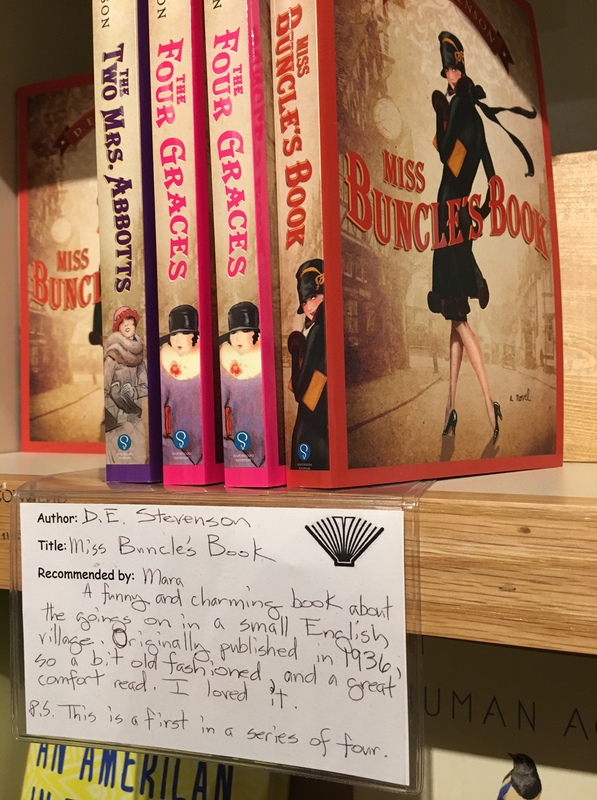 Queen Anne Hill Books is a lovely little bookshop with good stock. I was tempted not to buy anything because I didn’t really have the capacity to load up on books that I knew would be easily available from my local indie. But how could I not support a neighborhood bookstore? So, one book and a postcard heavier I walked back out into the sunshine to make my way back down the hill to Mercer Street Books–which I will tell you about next time. 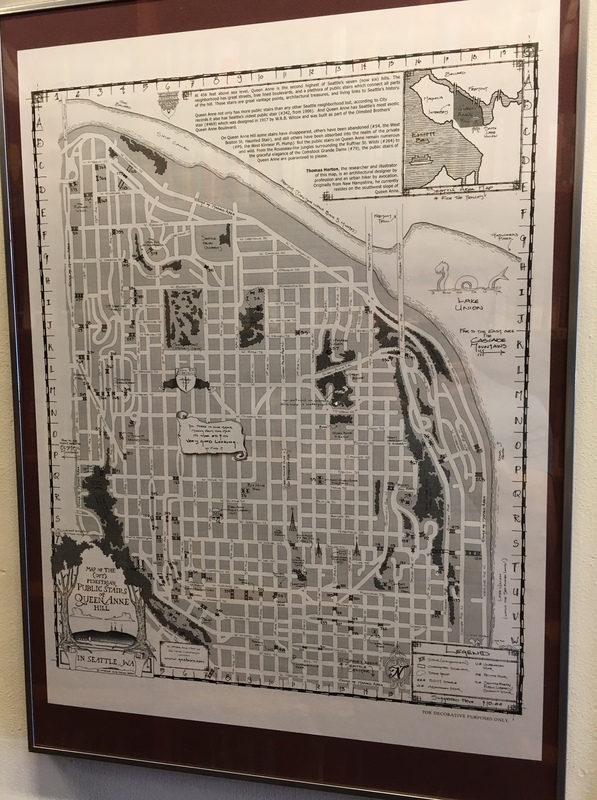 When I stopped for just a minute in Mercer Street Books before eating lunch, I noticed this map of Queen Anne Hill which is was piqued my interest in climbing the very steep hill up into the neighborhood. I mainly stayed on residential streets while I was up on Queen Anne Hill, but then I randomly cut over to a commercial street and stumbled across this almost immediately. At first I thought the Yellow book must be some sort or local guide which made me wonder if it was a legit bookstore or some sort of gift shop. When I saw the joke I realized it was legit. Nice to see a Buncle display. I din’t buy this, but I should ask for royalties. I love how all the little traffic circles around town have green things growing in them. 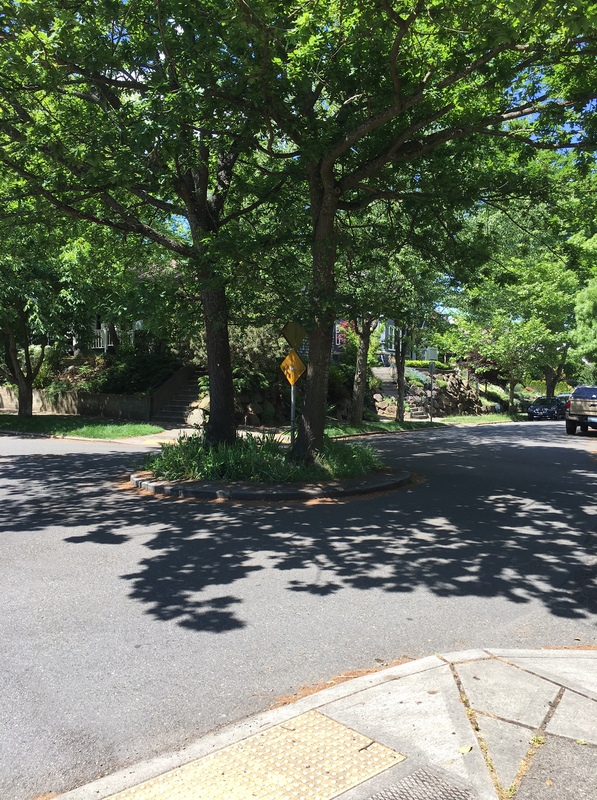 I love the green things in the traffic circles too! Pretty neighborhood. You did the right thing buying a book– you had to. Seattle is one of my fave cities and the people are so kind and considerate. I’ve only been there twice but I never saw any road rage — just the opposite: very unaggressive drivers staying where they should and not changing lanes in special areas at all. I was very impressed with how far out of their way people went to help a stranger. 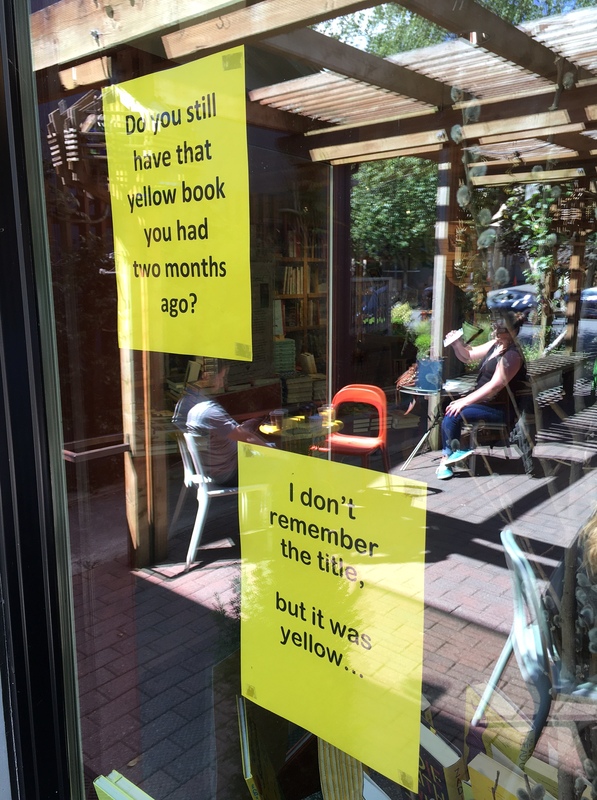 I enjoyed all of these bookstore posts. 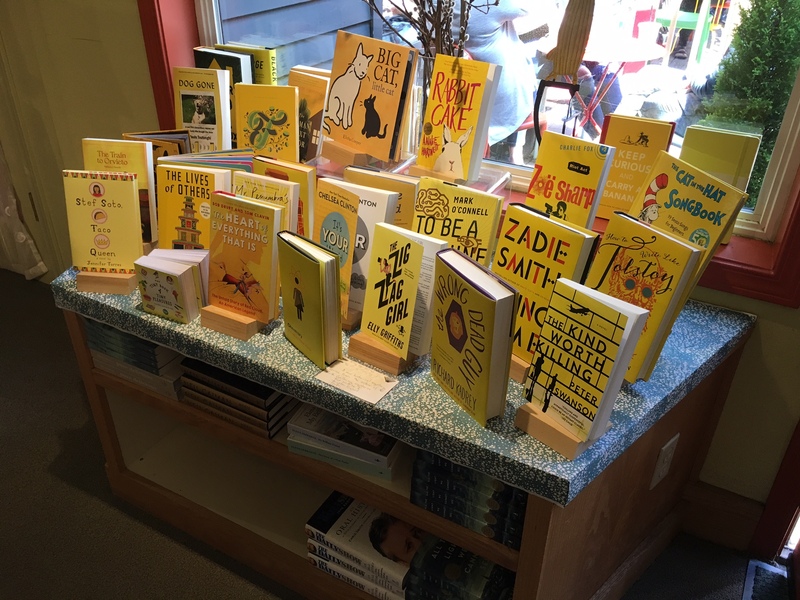 I love the yellow book display, but they didn’t have a copy of THE Yellow Book from Oscar Wilde’s day. I am the proud–okay, smug– owner of one volume. 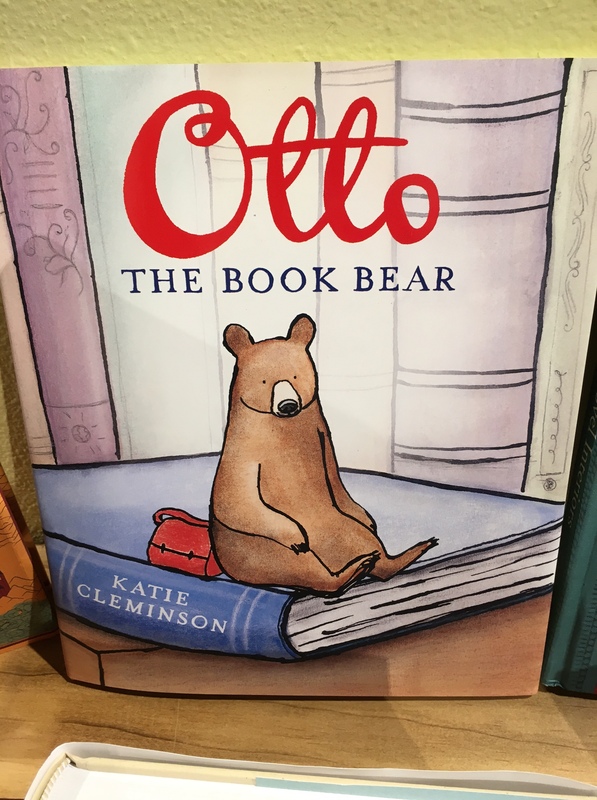 I also like the idea of buying one book at each store you visit. I might be able to do this in Brooklyn this summer. I think requiring the purchase of one book would actually result in few books purchased overall.